If you look at the CTA's Red Line map, it's clear that there are no opportunities for people who have mobility issues to use the Red Line between the Addison and Granville stations. But that all ends on Wednesday. According to CTA's rep, the final inspections for the elevators and escalators at the Wilson Station are taking place, and the station -- and the elevators and escalators -- will have a limited opening on Wednesday, September 20th. More about the closures and construction affiliated with the final push toward a full station opening in the next post. The lack of accessibility among the entire L system is shameful, especially in the loop, where train platforms sit 20+ feet in the air with no way for people with mobility issues to get to them. Unless EVERY station is accessible, the entire system is practically useless for the disabled. Even able-bodied people don't want to have to plan complex travel around which stations they can use to get where they need to be. I'd say you haven't even *tried* to get around the Loop on the L lately, then. The only Red Line stop that isn't accessible in the Loop now is Monroe; CTA just opened a new Loop Elevated station along Wabash that is accessible, they're working on Quincy, and I think the rest of the Elevated stations *are* accessible--at significant cost to taxpayers for a few people to avoid Pace door-to-door paratransit options, by the way. 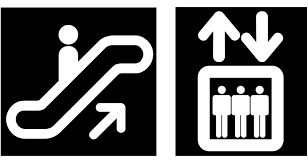 Perhaps you would like to revisit CTA's information for the most updated station accessibility and continuing efforts, then get back to UU about it? You must not have a disability. Let me repeat my earlier statement, unless ALL stations are accessible, then it is not convenient for people with disabilities to have to travel several blocks to get to one that is. My office is located between 2 platforms, neither of which is accessible (Quincy & VanBuren). There are 9 platforms in the loop, only 4 are accessible, so who needs to do their homework? ?